Auctioneer Corinne Fiske has been involved in the charity auction business with Northwest Benefit Auctions for over 8 years. 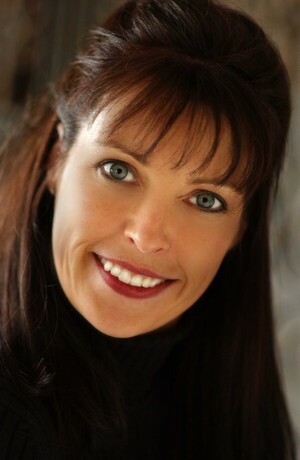 Her husband Jay founded the company in 1993 and has built a national and international reputation helping literally thousands of organizations exceed their goals. During the last 8 years, Corinne has traveled nationally and internationally, filling literally every role possible in the charity auction world, from Event Staff to Auction Consultant, Procurement Specialist, Master of Ceremonies, Trainer, Event Coordinator, and of course Auctioneer. Jay and Corinne co-authored “The Big Book of Benefit Auctions,” which is published by John Wiley and Sons and available wherever books are sold. Their book is used Internationally by numerous major not for profit organizations and is considered the “authority” on successful auction events. Corinne has an exceptional knowledge of the charity auction process and recognizes that the money is made as much in the planning stages as in the auctioning function, and works with clients throughout the planning process to assure success at the event. Having the auctioneer be more than “the voice” on stage brings the client faster and easier to their expected results, and reduces stress and burn out of volunteers and committee members. Of course, once the auction begins the audience wants an entertaining and fun experience, and Corinne’s energy, playfulness and wit keeps the audience focused and the results maximized for the cause. Corinne has a particular passion for children, animals, sports and education and loves helping charities raise as much money as possible for their causes while providing an entertaining experience for her audiences. This passion, combined with her vast experience in all phases of auction planning and performance, make her an ideal combination for schools and other educational causes, and anything related to children’s issues.